In 1939 the Solomon R. Guggenheim Foundation opened its first gallery space—the Museum of Non-Objective Painting—in a former Manhattan automobile showroom on East 54th Street. Seventy-five years later, the Guggenheim Foundation operates museums in New York, Venice, Bilbao, and soon, Abu Dhabi. Until relatively recently, additional Guggenheims could be found in Berlin, Las Vegas, and downtown New York. Designed by some of the world’s most prominent architects, these museums have often been distinguished as much by their architecture as by the art displayed within. They have also sparked debates ranging from the intrusiveness of architecture in an art museum to the ability of a single building to transform an entire city. The Guggenheim has transcended the conventional art museum to simultaneously become art collection, international constellation of architectural icons, and brand. And with the open design competition for the proposed Guggenheim Museum in Helsinki currently underway, the Guggenheim’s particularly powerful expansion-minded vigor shows no signs of diminishing. 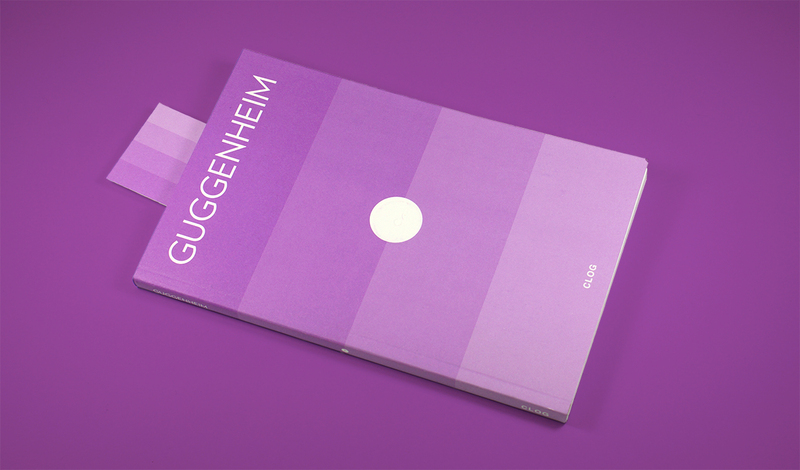 CLOG : GUGGENHEIM will critically examine the past, present, and future architectural impact of this global institution. Mikko Aho, Asymptote, Richard Armstrong, Dorin Baul, Eugenia Bevz, Cai Guo-Qiang, Jasper Campshure, Archie Lee Coates IV, Hana Cohn, Dan Cooper, Cara Cragan, Eliza Culea, Lukas Lesina Debiasi, Craig Dykers, Adam Feldman, Andrew Frame, Jens Franke, Jeffrey Franklin, Matthew Giordano, Anthony Graham, Matt Hall, Adam Himes, Sarah M. Hirschman, Julia van den Hout, Andreas Kofler, Thomas Krens, Stephanie Lee, David van der Leer, Jean-Francois Lejeune, Erkki Km Leppavuori, Thomas Lozada, Kyle May, Daniel-Tudor Munteanu, Maria Nicanor, Cyrus Penarroyo, Jacob Reidel, Andrew Ross, Patrick Sarmiento, Jack Self, Ehsan Sheikholharam, Joseph M. Siry, Nancy Spector, Benjamin Strak, Troy COnrad Therrien, Dennis Vermeulen, Juan Ignacio Vidarte, Ritva Viljanen, Alfred Willis, PhD, and Anthony Yue. Softcover, 5.5 x 8.5 in.